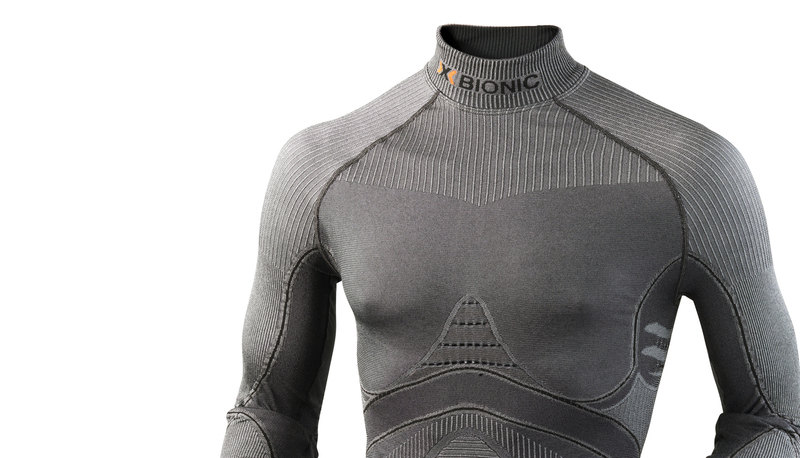 A New Benchmark in Muscle Compression Technology. Stronger than the laws of thermodynamics. Compression wear improves muscle uptake of oxygen and nutrients, reduces muscle vibrations and improves muscle recovery. Mechanical pressure can negatively influence blood circulation. If no sweat remains on the skin, the blood cannot be cooled and the body’s cooling system won’t work properly. Partialkompression® applies targeted pressure on 1mm wide ridges. Between the ridges are compression-free areas. Compression guarantees improved oxygen and nutrient supply to the muscles. However, the blood circulation of the skin might be negatively affected by compression. With Partialkompression®, the blood flow through veins and capillaries remain unimpeded in the compression-free areas. Moreover, sweat can remain on the skin and thus can cool the blood which in turn is the body's cooling liquid. However, mechanical pressure can lead to the blood supply to larger areas of skin being partially or completely restricted. This is why X-BIONIC® developed the partial compression system. It combines all the advantages of compression clothing, but by using targeted bridge zones. The blood vessels either side remain open for optimalcirculation and the natural cooling function of the blood. X-BIONIC® Partialkompression® keeps you able to perform for longer. – Harnesses the skin’s potential as the body’s largest (temperature regulating) organ. Pressure is exerted only over bars. Mechanical pressure can lead to the blood supply to larger areas of skin being partially or completely restricted. – This can affect the natural cooling process. Comparative assessment of functional responses (cardiovascular system, metabolism, thermoregulation) at sub maximal and maximal exertion and the use of different types of compression clothing in cases of hyperthermia”. Enhanced performance thanks to optimised compression and cooling. During sport activities body warmth is created. In extreme situations up to 1,200 watts worth. Up to 90 % of this is released by the athlete from the skin to maintain a body temperate of 98.6 °F/37 °C. X-BIONIC® Partialkompression® applies targeted pressure on 1 mm-wide ridges. Left and right of the ridge is a compression-free area where compression could have a negative effect on blood circulation to the skin. In this way the blood flow through veins and capillaries remain unimpeded. 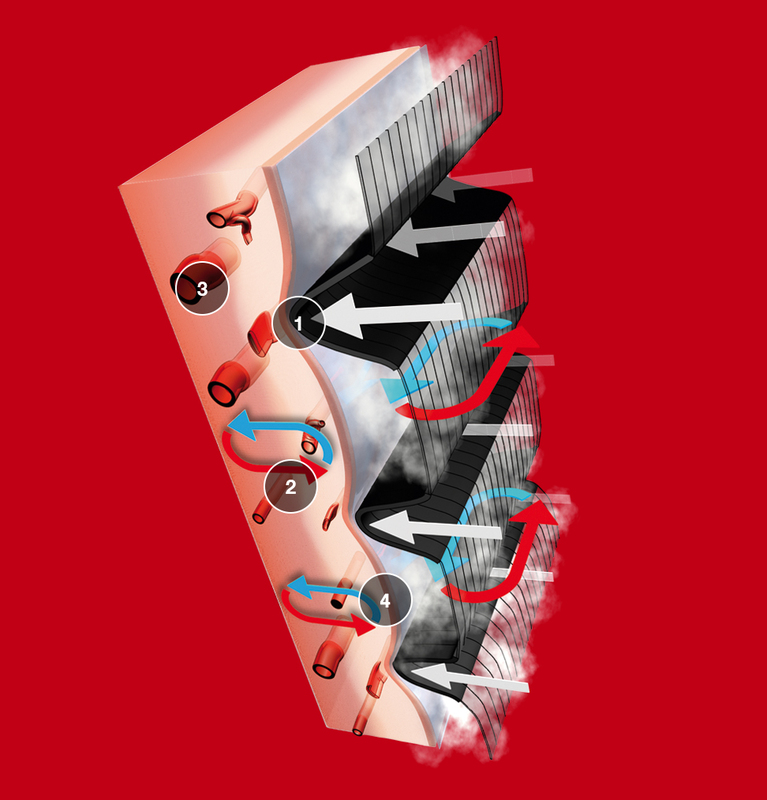 X-BIONIC® Partialkompression® utilizes the advantages of compression without neglecting cooling.